It was bound to happen! When Alpine announced its own Apple CarPlay head unit, the iLX-007, the device was believed to have a suggested retail price of $800. Suggested retail prices should be taken with a grain of salt because products end up being priced below that mark. At $800 and lacking a few key features, the Alpine iLX-007 seemed like being overpriced compared to the Pioneer AppRadio 4 (SPH-DA120) and the lower end NEX head units. But authorized Alpine dealers have begun listing the Alpine head unit at around $600 which puts it on par with the retail price of the AppRadio 4. Granted, the Pioneer AppRadio 4 can be purchased at way below the $600 price tag on Amazon (lowest price we found was $489.95). The iLX-007 has yet to appear on Amazon but it's only a matter of time. We will keep everyone posted when that happens. With Apple CarPlay taking center stage in the car entertainment industry, Alpine and Pioneer are bound to benefit from offering the technology at much lower prices compared to having to buy a brand new car. Aftermarket head units give consumers a much affordable option to enjoy the latest technology from Apple in the car they already own. The iLX-007 vs. SPH-DA120 battle is just getting started. There are a few major differences that stand out between the two head units. The iLX-007 lacks Bluetooth connectivity but offers a larger 7-inch touchscreen. While the SPH-DA120 offers Bluetooth the screen size is a little smaller at 6.2-inches. Both devices have capacitive touchscreens like the ones found in today's smartphones. The AppRadio 4 includes additional features like Pioneer's own AppRadio Mode which allows users to run smartphone apps on the head unit. FLAC Audio support will make the AppRadio 4 sound appealing to audiophiles whereas Alpine's MediaXpander technology in the iLX-007 is designed to improve sound quality of compressed media. The Pioneer AVH-4000NEX has a suggested retail price of $700 but can be purchased for around $525 on Amazon these days. When compared to the iLX-007, the AVH-4000NEX is the clear winner when it comes to features it offers. The Pioneer head unit has a 7-inch touchscreen display (albeit resistive), a DVD drive, is compatible with iOS/Android/MirrorLink, AppRadio Mode, Bluetooth, SiriusXM-ready, HD Radio, and is Navigation-ready. The Alpine iLX-007 doesn't include any of these features. The chassis of the Alpine iLX-007 houses the head unit in a small form factor that is only 3-inches deep. This is way smaller than traditional double-DIN receivers giving users plenty of room to fit the device in their car's dashboard. Let's see how Alpine's flagship CarPlay receiver does in the coming weeks. User reviews will be available soon. Initial reactions find the absence of Bluetooth connectivity baffling and the price too steep. 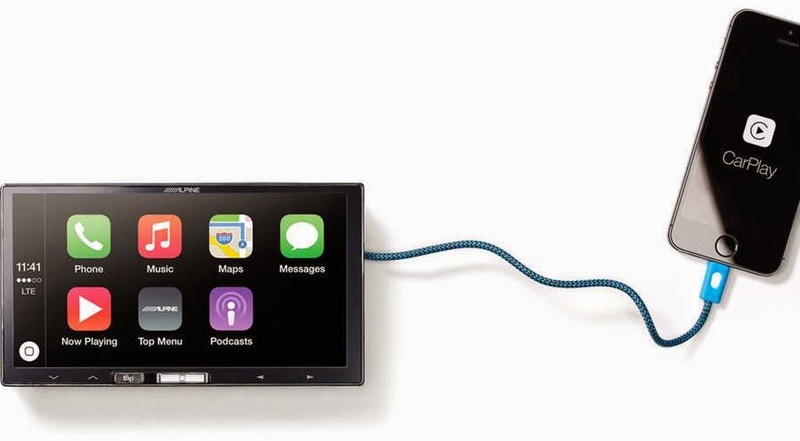 But with retailers now listing the device at $600, will consumer interest in the Alpine option for Apple CarPlay grow?